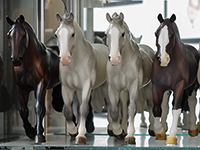 ﻿Over 800 horses call Transatlanticism Ranch home - a collection that has been amassed over 15+ years of buying, selling, and hunting through the dingiest corners of flea markets and antique shops. 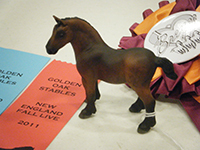 The show string has been winning in the ring for the past decade, picking up numerous local, regional and national championships along the way. 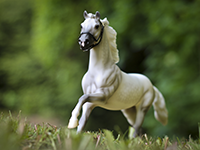 Through careful framing and editing, the model horse is brought to life through the eye of a camera lens. WARNING: This site is generally image heavy, especially on the gallery and horse pages. Those with slower internet connections may experience loading issues. Transatlanticism Ranch's website is currently undergoing a complete overhaul! Because of this, some links and buttons may be dead and some pages have blank spaces or placeholders. I'm working hard in my free time to finish this website up, but as you might imagine it is a huge undertaking.